And while still searching, I almost fell inlove with this hostal.. It looked new and... (and fuchsia, ok, joking) I knew the trouble will be to get to the 4th floor with the luggage since the building doesn't have an elevator but it's not like you're going out with your luggage everyday, right? I stayed one extra night there after my flight was cancelled .. unfortunately the next nights I wasn't so lucky.. They didn't had free rooms and I had to find other place but it's not that easy to find a place on a last second and I searched many places in the area but it was full everywhere. So I moved a few floors beneath... in an other hostal. I thought 'how bad could it be ? ' Oh... you have no idea .. 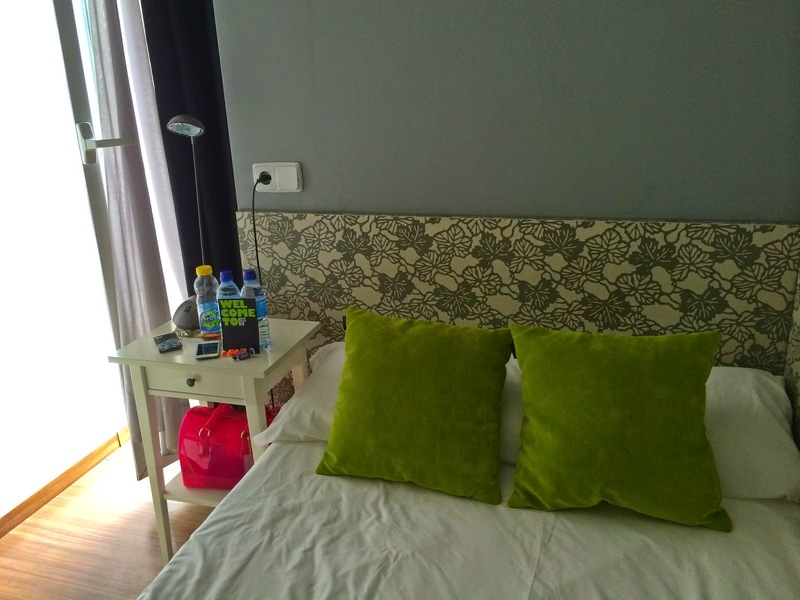 It has a great location near Las Ramblas and Plaza Catalunya where is a metro station and all the aerobusses. We had the private room with bath. It smelled good and the room was clean and the guy from reception was really nice and helpful . So this was like our 'Happy ending' in Barcelona and we went to the beach the whole day and the next day we finally had our flights..